Good evening to you all readers of this article on arewamobile, as we all know facebook provides several opportunities to people among which is the free chatting ability,allowing us to share with others whatever we wish to share, giving us a platform to ask for public opinion, ask questions etcetera. We can also use facebook to share pictures,videos and so many other things. As we’ve listed the features offered by Facebook above, videos sharing ability is what we will take a look into on this post, in which we’ll touch the facebook video autoplay part.Facebook video Auto play can sometimes be of terrible or irritating nuisance in that you might be doing something very important when that video may come to start playing automatically. Though Facebook had previously provided this feature to disable auto-play videos on iPhone/iPad, the feature has exprienced some changes after Facebook has updated its application. Initially, users could disable this feature from the Settings app of iPhone or iPad. Now, there are some changes to this method which user may find difficult to understand. Secondly, Tap on Account Settings. You will be landed on Settings screen. Tap on Videos and Photos, and then Tap on Autoplay option.Toggle Smart Autoplay option OFF. Once you perform this action, you will be able to see three different options under CHOOSE YOUR OWN AUTOPLAY SETTING. These options are: Use Wi-Fi,Use Cellular Data, Use Wi-Fi Only, and Never Play Videos Automatically. 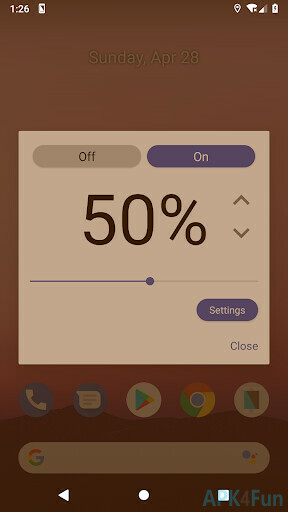 You can choose one of the three options to play the video; if you don’t want to exhaust your Cellular data, you can choose either Wi-Fi Only or Never Play Videos option. The logic behind auto-playing videos is not exactly clear but it clears a pathway for introducing auto-playing video ads on your Facebook mobile application. To stop or avoid auto playing of unwanted, unfiltered visual content and save your battery and a cellular data package on the Twitter app,you just need to follow the steps on your iPhone, iPad or iPod Touch. However, this setting may not work on old version of the app so you may need to upgrade it. Step 1. Open Twitter Application on your iPhone → Tap on Me in the bottom panel. It will take you to your account. (If you have multiple Twitter accounts, you can apply this change to one account and it will be applicable to all accounts). Then. Tap on the Gear icon. A menu will swipe up with options like Settings, View Lists, Drafts, Help and Sign Out. Step 2. Tap on Settings, select Video Autoplay,and then Select Never play videos automatically. With these simple tips, you can be able to save a lot of your time and effort from closing down videos on facebook or on the Twitter app. You can follow the same instructions to stop automatic playing of videos Instagram app so as to save your internet data and battery.